But the Cowboys still left with a gut punch as Houston kicker Ka'imi Fairbairn nailed an overtime field goal that lifted the Texans to a 19-16 victory on Sunday night at NRG Stadium. 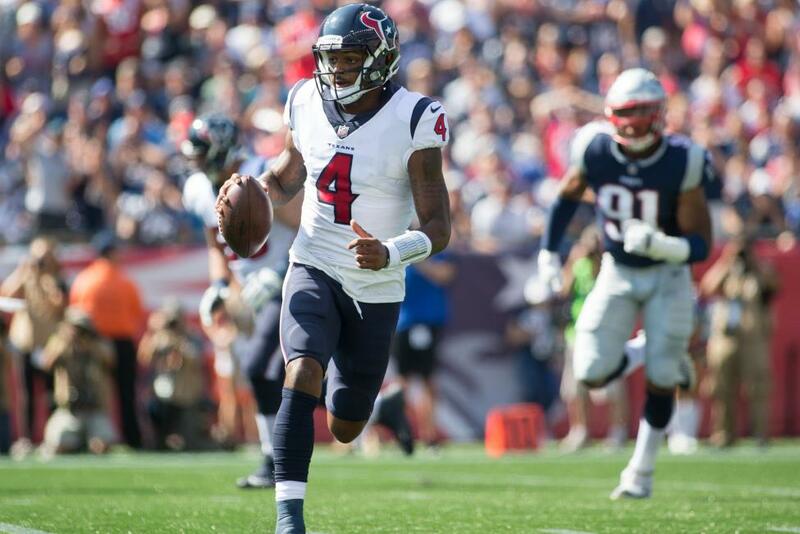 Texans quarterback Deshaun Watson, visibly shaken by the hits he had taken from the Dallas defense, still managed to make the key play in overtime. He floated a spot-on pass to receiver DeAndre Hopkins on second-and-nine from the Texans' 24-yard line. Hopkins made the catch, then shook off Dallas defenders as he spun his way to the Cowboys' 27. That set up Fairbairn's 36-yard game-winning field goal. And Fairbairn's boot also sent the Cowboys (2-3) to 0-3 on the road so far this season. Dallas won the coin toss at the start of overtime, giving the Cowboys the first possession. But, after running back Ezekiel Elliott and tight end Blake Jarwin helped Dallas move the chains twice, the Cowboys' overtime possession stalled at the Texans' 42. Dallas head coach Jason Garrett sent in the punt team and the Cowboys never got the ball back. Cowboys quarterback Dak Prescott gave another lackluster performance on the road. He completed 15-of-26 passes for 179 yards, a touchdown and two interceptions. He was consistently pressured by Texans pass-rush experts J.J. Watt and Jadeveon Clowney. Conversely, Watson was efficient despite battling an apparent upper-body injury. Watson completed 33-of-44 passes for 375 yards and rushed for 40. The Dallas secondary had a hard time containing Houston wide receivers Hopkins and Keke Coutee, along with tight end Ryan Griffin. Hopkins finished with nine catches for 151 yards, Griffin made six grabs for 65 yards and Coutee caught six balls for 51 yards and a touchdown. It all resulted in the Texans' second straight overtime victory. Linebacker Jaylon Smith did his part to give Dallas a chance to win. Smith had 14 tackles and kept the Texans out of the end zone at the end of the first half when he met Watson at the 2-yard line and knocked the Texans quarterback out of bounds on fourth-and-goal from the 1-yard line. Smith teamed up with Demarcus Lawrence to pressure Watson into a wobbly pass that Xavier Woods intercepted, stopping the Texans' final drive of regulation and ultimately forcing overtime. But the Cowboys managed just three points in the final 26 minutes of regulation and overtime.